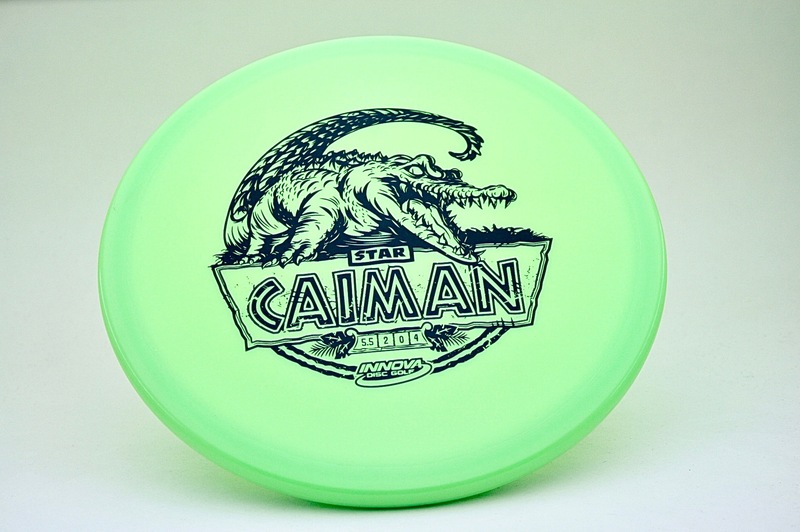 Caiman - This disc muscles its way into Innova’s mid-range lineup with a strong fade and minimal glide. The Caiman thrives in a headwind. The microbead gives the rim a smooth feel, perfect for power forehand throws.